Scrapbooking books can speed up your learning process as a beginner. Granted, you can find tons of free stuff on the Internet. Still, there’s some wonderful scrapbooking idea books that you shouldn’t have missed out on. I love getting my hands on those idea books from Creating Keepsakes and Simple Scrapbook Magazines back then when I started learning to scrapbook. Each of those idea books was brimming with creative ideas by their very talented scrapbookers. 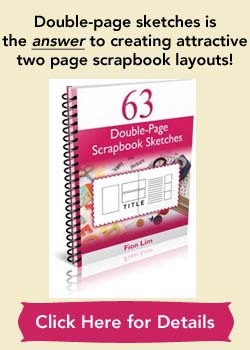 While Creating Keepsakes tend to display the latest scrapbooking techniques and trends, Simple Scrapbooks offers many simple, beautiful layouts that beginners can scraplift (copy) from. I mentioned books from Creating Keepsakes and Simple Scrapbooks because I own some copies of their books and know what they have to offer. Anyway, those were the days as Simple Scrapbooks ceased publication and Creating Keepsakes has moved on to digital publication. But I’m sure there’s other wonderful idea books by others that I’ve not read or come across yet. I find that idea books can be a great way to push one’s creativity level, and to expose a beginner to many different scrapbooking styles. From my experience, I would usually walk away from a good idea book with strong inspiration and ideas to apply to my scrapbook pages. It’s not a surprise that before a scrapping session, I’d usually pick up one of my idea books and randomly flip through for scrapbooking ideas. And I seldom go away without at least one or two great ideas to use right away on my layout. I’m hardly a super creative person, so these idea books do help me out a lot. And so I’d suggest that you shop around for one or two idea books to get started. Believe me, you’ll keep going back to your books over and over again. Just like I did and still do. Amazon.com is a great place to source for scrap booking books. 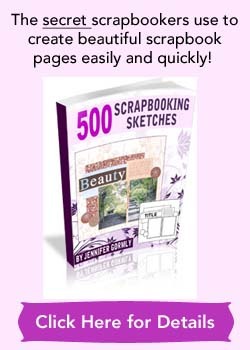 You can read reviews and see related books at the same time to help you get the best scrapbooking books possible.